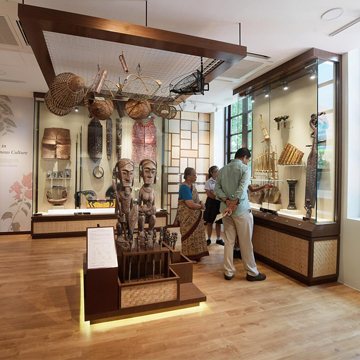 Complementing the Ethnobotany Garden, the Singapore Botanic Garden’s Ethnobotany Centre explores the complex interplay between people and the plants they use, highlighting the vast significance of plants as a whole to humanity. 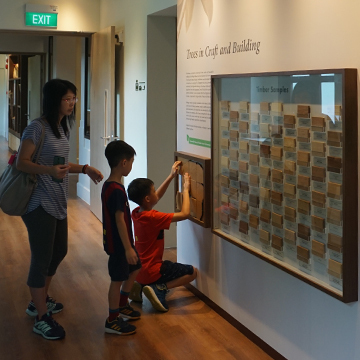 As an immersive educational experience, the Ethnobotany Centre has a major role to play in spreading awareness about the legacy of ethnobotany as a field of study in Singapore, our public green spaces, as well as the state of the environment in our part of the world. 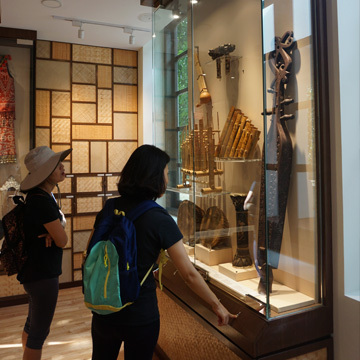 To this end, the Ethnobotany Centre’s visitor experience is designed to appeal to the general public, with an especial focus on students and families with young children, while retaining a core of more insightful knowledge for a more mature audience. During Singapore’s formative years, the Singapore Botanic Gardens was a vital acclimatization site for key economic plant species that were transported to the region. Here, former Director I.H. 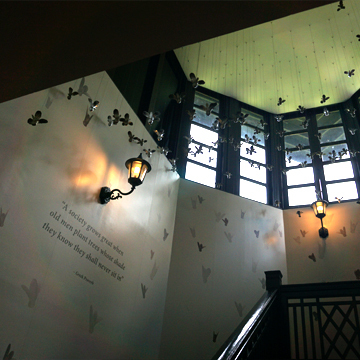 Burkill’s monumental documentation of these plants is turned into a captivating multimedia introduction to the Centre. 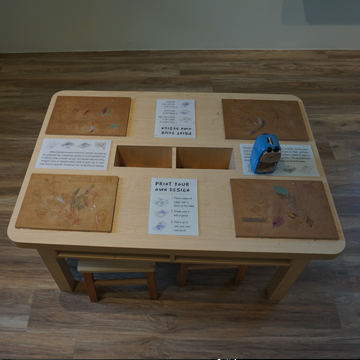 Set like a library with a work desk, visitor can explore highlight of Burkill’s documentation from the virtual desktop. 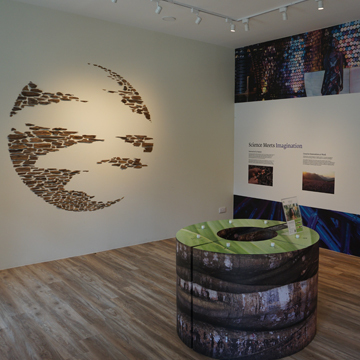 This elegant space examines the impact of economic plants on our region. 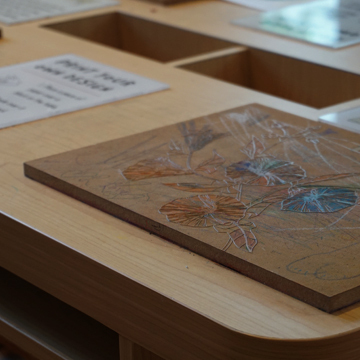 A centralised multi-touch table at the centre of the room allows visitors to examine digitised versions of artefacts, which is also connected to a large wall projection, allowing extreme magnification so they can appreciate their intricacy and beauty. Tracing the industrial plants’ journey from their origin to the spread in South East Asia, the interactive installation give insights to how these plants helped to shape the countries. To further understand the parts of the plants that are useful to men, and how they are harvested, an augmented artefact display is used. Visitors glide a transparent LCD roto-scope screen over the showcase surface to trigger multiple layers of animated content. Like a treasure chest full of indigenous artefacts, this space showcases creative use of natural materials in their daily lives. An interactive showcase containing various musical instruments allows visitors to ‘play’ them virtually at the touch of a button, creating the sense of an indigenous orchestra. Different mix of the music can be heard depending on which instruments are turned on, designed to add immersion to the space. 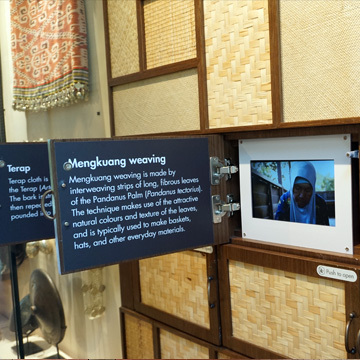 Video documentaries on how plants are used in indigenous cultures are placed in bamboo closets, adding a sense of exploration to the experience. From overlooking the Ethnobotany Garden, visitors may explore the garden virtually via a 360° photo viewer which simulates the experience of standing within one of four different location markers within the garden. Tapping hotspots triggers additional content on key plant specimens. Indigenous peoples emphasise living in harmony with nature. However, even these indigenous cultures and their knowledge of plants are under threat. Preserving their way of lives is as important as preserving nature itself. This is the message in this contemplative space, where statistics are presented in interesting info-graphics on the wall. The experience for this room is anchored by the video show, with the key message that while plants have shaped diverse human cultures, these cultures can be natural custodians of the botanical treasures of nature which are the heritage for all humankind.